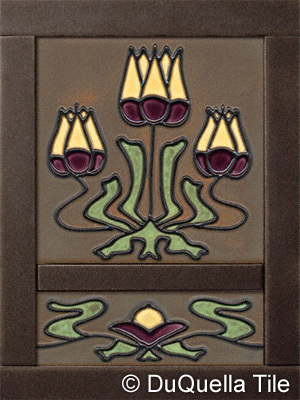 : : : D U Q U E L L A T I L E : : : Handcrafted decorative tiles in Arts and Crafts, Art Nouveau and Art Deco styles for baths, kitchens or fireplaces. Custom services. Field tile.